Friday, February 1, 2019 from 6 – 9 p.m. Though the old Early Bird hour is gone, you can still enjoy the variety of unique beers, the opportunity to mingle with the brewers, and the smaller crowd at the Exclusive Specialties Session on Friday with an additional two extra hours of former Early Bird benefits, from 6 – 9 p.m. Look forward to short lines, plenty of room, and amazing beers from 60+ Hoosier breweries and guests. 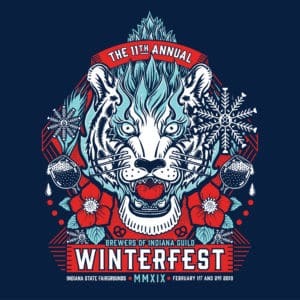 Save $10 on each GA ticket to the Brewers of Indiana Guild’s three annual fundraisers in Indianapolis: Winterfest on Saturday, February 2, 2019 at the Indiana State Fairgrounds; Indiana Microbrewers Festival on Saturday, July 27, 2019 at Historic Military Park; and Broad Ripple Beer Fest on Saturday, October 12, 2019 at Optimist Park, all from 2 – 6 p.m.
Get your tickets now: Prices increase at the gate by $10 per ticket, if they’re still available. 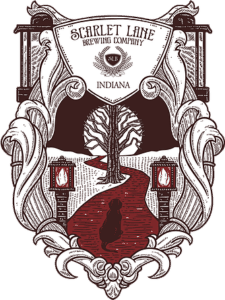 Visit drinkin.beer and see #IndyWinterfest on Instagram and Twitter for updates.